This article on Navigation Acts of Colonial America provides facts and information about the effects of these laws and taxes. 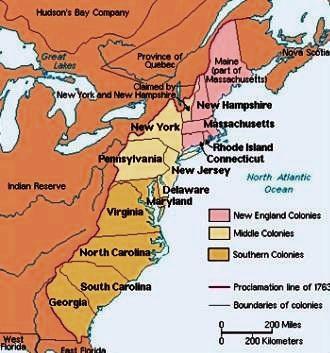 The colonies represented a lucrative source of wealth and trade. The Navigation Acts were designed to regulate colonial trade and enabled England to collect duties (taxes) in the Colonies. The definition and purpose of the Navigation Acts and the cry of "No taxation without representation!" The Purpose of the Navigation Acts was to encourage British shipping and allow Great Britain to retain the monopoly of British colonial trade for the benefit of British merchants. The 1660 Navigation Act ensured that the importation and exportation of goods from British Colonies were restricted to British ships which were under the control of British mariners. The following Navigation Acts ensured that the highly lucrative profits to be made from the natural resources and industries in the Colonies securing advantages for the products in Great Britain. The background to the Navigation Acts dates back to the period in English History when King Charles 1 had been executed and the country was ruled by Oliver Cromwell and the parliamentarians in England. In 1642, parliament exempted New England exports and imports from all duties, and a few years later all goods carried to the southern colonies in English vessels were put on the free list. This was great news for the American colonies. However in 1651 this position changed with the passing of the first Navigation Act of 1651. Exports are goods sent for sale outside a colony or country. Exported goods earn money. Imports are goods brought into a colony or country. Imported goods cost money - refer to Triangular Trade. 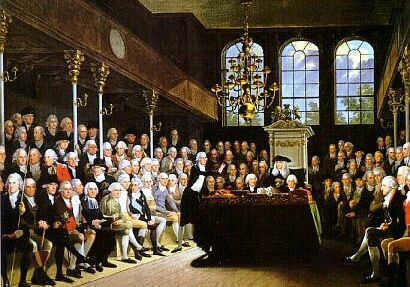 The 1651 Navigation Act was passed in the English Parliament. The reason for the First Navigation Act was to restrict Dutch shipping. The Dutch were the biggest competition to England. The rise of the Dutch carrying trade threatened to drive English shipping from the seas. The 1651 basically stated that 'no goods of the growth, production, or manufacture of Asia, Africa, or America, shall be imported only by ships that belong to the people of the British Commonwealth.' The 1651 Navigation Act attempted to ensure the monopoly on British colonial trade for the benefit of British merchants - to the detriment of the Dutch maritime trade. The Act led to the First Anglo-Dutch War. The First Navigation Act was largely ignored, especially in the Colonies. In 1660 King Charles II was restored to the English throne. The 1651 Navigation Act was declared void. King Charles had other plans, he desperately needed money and so did England. He wanted profits to benefit the monarchy and England above everyone else. A Bill for the second 1660 Navigation Act was passed to close the loopholes of the first Act . and whereof the master and ¾ of the mariners at least are English. The 'goods and commodities' were tobacco, sugar, rice, cotton, wool, dyeing woods - indigo, etc. Such goods could only be shipped to England. Such goods were to pay heavy duties (taxes) when shipped to England. The money from the taxes went to England, not the colonies from where they originated. Other, non-specified goods, could go directly to foreign ports from English colonies in English ships. The Navigation Act of 1663 was also called the Act for the Encouragement of Trade or the Staple Act. The 1663 Navigation Act stated that Colonial exports (mainly American) had to be transported in English, or colonial, ships and that all Colonial imports had to first pass through English ports - whether the goods were for England or another country in Europe. The goods were then to be inspected and taxed. This meant that the English colonies could only receive European goods via England. 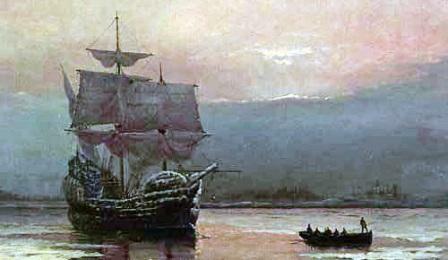 The 1660 and 1663 Navigation Acts increased the cost, and shipping time, for the colonies. The 1733 Navigation Act, also called the Molasses Act added 'fuel to the fire'. The 1733 Navigation Act imposed heavy duties (taxes) on sugar from the West Indies to the American colonies raising the price of West Indian sugar. This forced the colonists to purchase sugar from Britainstead. The series of Navigation Acts were seen as a detriment to the American colonies and sewed the seeds of dissension and rebellion in the colonies. At the start of the American Revolution most of colonial traders were involved in smuggling to avoid restrictions placed on trade by the Navigation Acts. The Navigation Acts were repealed in 1849. Beaver fur was the raw material for a good quality felt, that was highly suitable for hat making. Beaver hats served as a status symbol for position and wealth in the 1600 and 1700's. The sales of hats made from beaver skins were an extremely important source of income to the British nation. From 1700 to 1770 the beaver skins that were exported from the American colonies to Great Britain were used to make 21 million hats which the British exported from England to other parts of Europe. Beaver pelts were the first great American trade commodity.